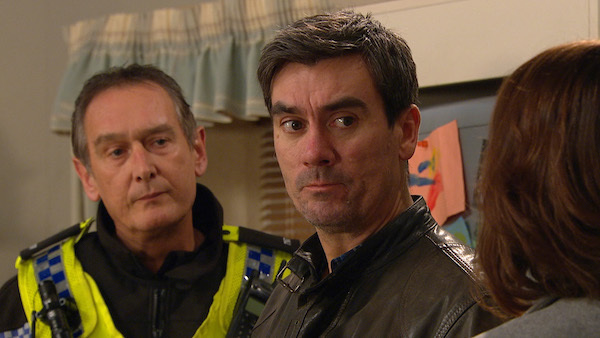 Cain Dingle finds himself in hot water once again next week when the police reveal they've found evidence linking him to Joe Tate's disappearance. 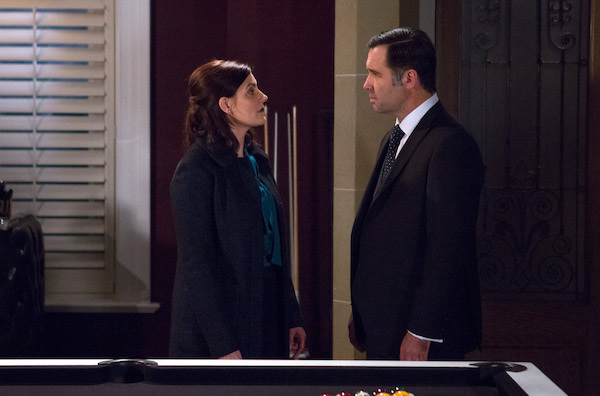 Emmerdale fans will know that Cain thinks he is the one who killed Joe after punching him for standing Debbie up at the altar on their wedding day. Little does Cain know, it is actually Graham Foster who finished the grisly crime, before dumping Joe's body at Hotten viaduct. 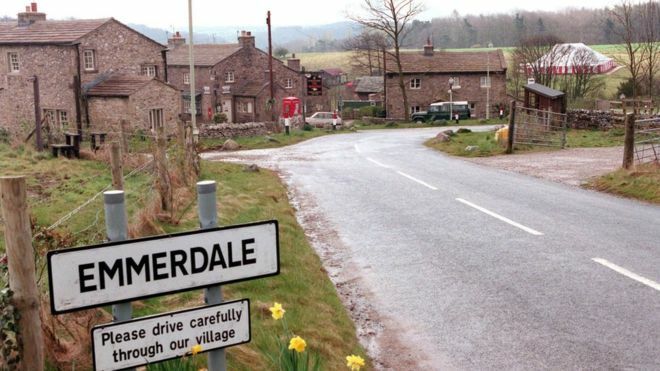 Read more: Emmerdale fans go wild as Graham Foster hints Joe Tate is alive! 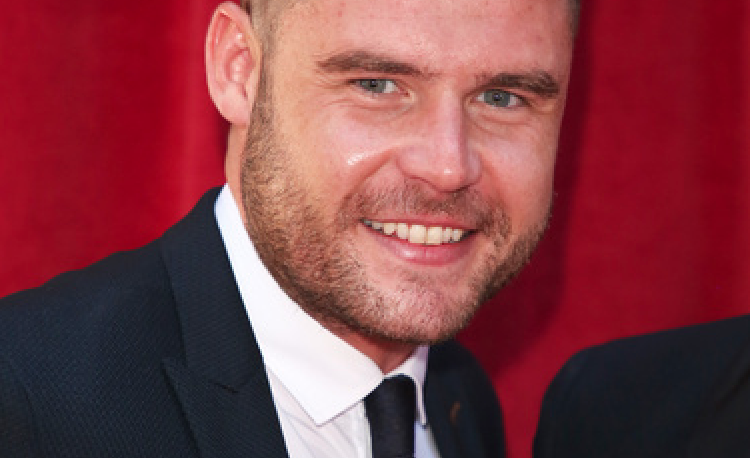 But while he might have been arrested earlier this month in connection to Joe's presumed murder, the investigation seems to have gone a bit quiet, leaving Cain to hope that the police have given up on their quest to link him to the crime. 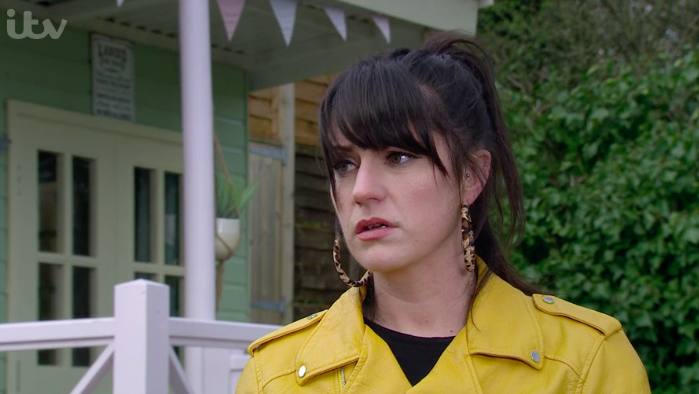 Things start to look up for the mechanic next week when wife Moira goes to speak to Kerry and begs her to let little Kyle come home to his dad. 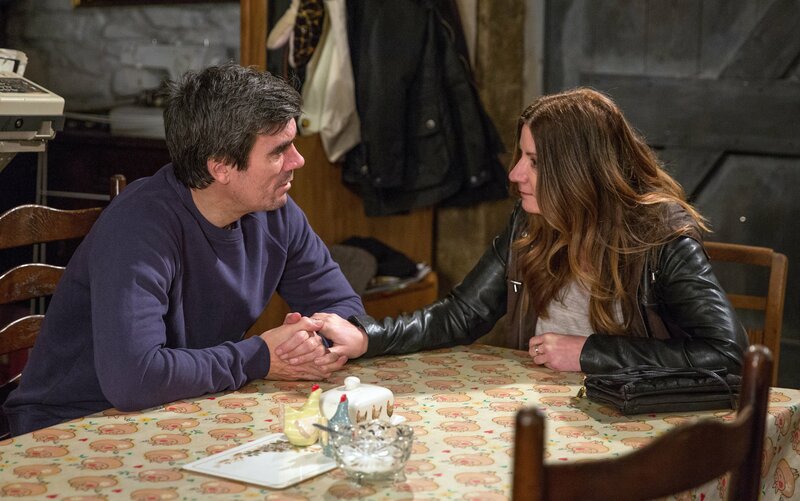 But while a defiant Kerry isn't ready to hand over her grandson that easily, Cain is thrilled when she tells him that he can have access to his son. However just when things are starting to look up, Cain is dealt another devastating blow when the police arrive and start to search Butlers. But what are they looking for this time? 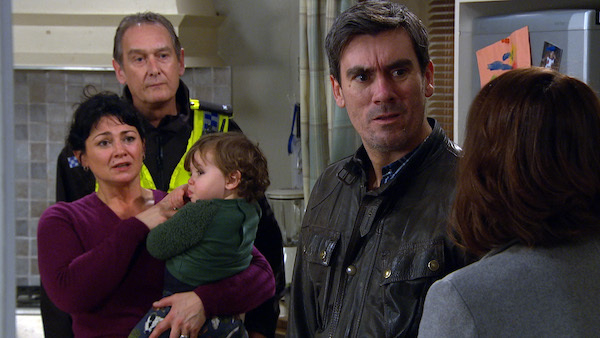 And with this being Cain Dingle we're talking about, he doesn't let the matter lie, refusing to cooperate when the police ask him to accompany them to the station. Cain causes trouble with the police and before he knows it he's being arrested for the second time in as many weeks... but why has he found himself on the wrong side of the law again? At the station, Cain pales as DS Sanders reveals they have got information that places him at Home Farm on the day that Joe went missing. 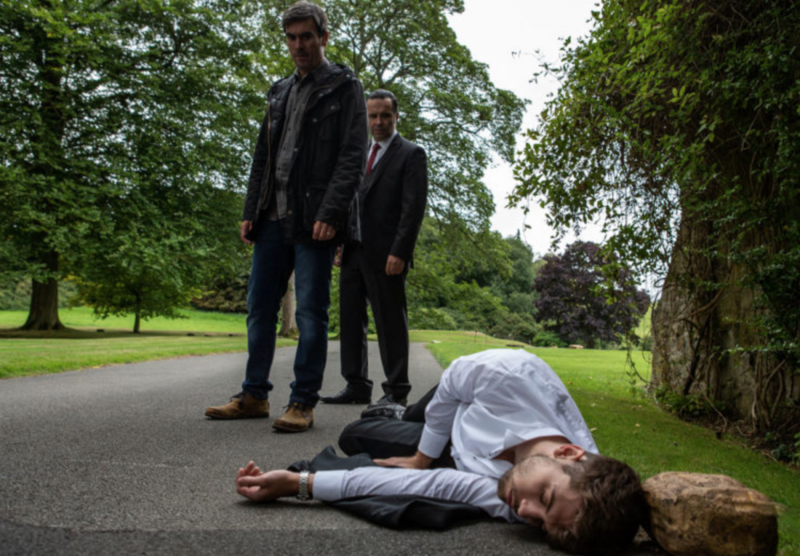 Read more: Emmerdale star James Moore denies he's "struggling"
Feeling the heat, Cain realises his lies are catching up with him and he is forced to confess that he did see Joe the last day he was seen in Emmerdale. But as he tries to talk his way out of trouble, will Graham back up his new story? Or is Mr Foster about to land Cain in it big time? As the police arrive to question Joe's former right hand man, could Graham frame Cain and let him go down for a crime that he didn't commit? 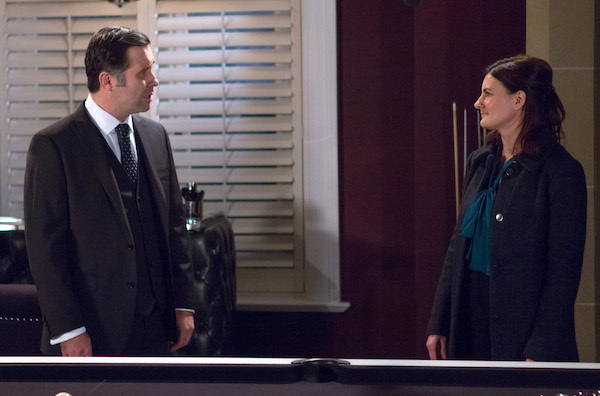 Do you think Cain's heading for jail? Leave us a comment on our Facebook page @EntertainmentDailyFix and let us know what you think!